To keep your phone safe from accidents, don’t forget to purchase a iPhone XS rugged case. Have you ever accidentally dropped your phone? For a few seconds, you’ve probably paused and felt flabbergasted. Especially for iPhone users who are always on the go and have their important data saved in their devices, such an incident could take them aback. Check out the must-have iphone XS rugged case. These are carefully reviewed to ensure that you will get the best quality items at reasonable prices. The Spigen Apple iPhone X Ultra Hybrid Case features great impact and drop protection for your iPhone unit. It has a shock-absorbent bumper and a rigid back that create a hybrid structure to make sure that your phone is safe and sound. The crystal-clear back does not compromise aesthetics and preserves the signature look of the iPhone. This case provides Mil-levels of protection with the Air Cushion Technology in all four corners! With this, your phone will withstand everyday drops, knocks, and shocks with nary a scratch or dent. Confidently use your phone without worry of damaging it. The Spigen Ultra Hybrid Case has a slim design that lets you grip and use your phone comfortably. The precise cutouts and tactile buttons ensure smooth phone operation and maintain quick functions and feedback. You can game, browse, or use any app without worrying if the interface will be compromised in any way. 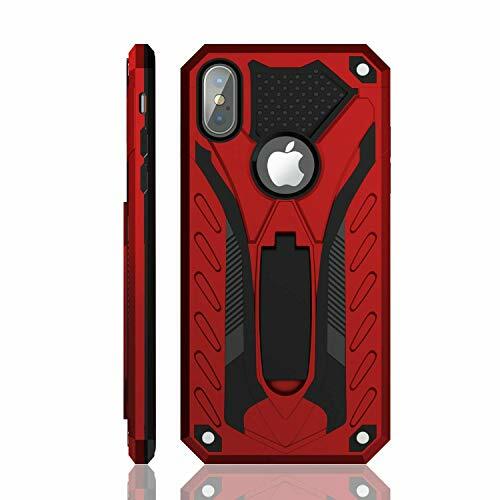 Stylish and sleek are two good words to describe the i-Blason iPhone XS Case. 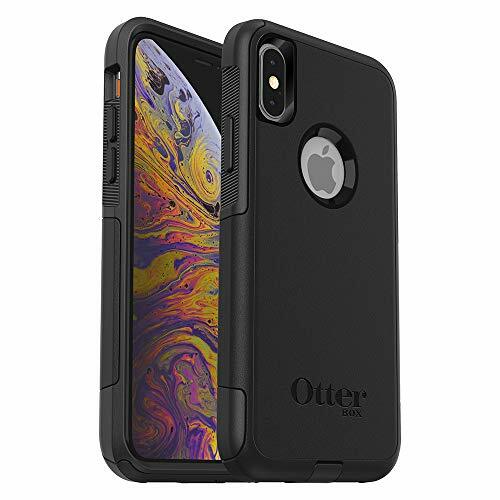 Unlike many iPhone cases in the market today, this features 360-degree protection with a built-in screen protector, TPU bumper, and cushioned corners. The front cover retains your screen’s sensitive touch functions while keeping it away from cracks, scratches, and normal, everyday wear and tear. The sides and corners of your phone are protected by multiple cushioned TPU layers that keep your phone from getting damaged in case of accidental drops and falls. The fingerprint- and scratch-resistant polycarbonate back plate comes in many stylish and trendy designs that allow you to express your personal style without sacrificing function. Feel free to charge wirelessly even with this phone case on, it won’t get in the way! 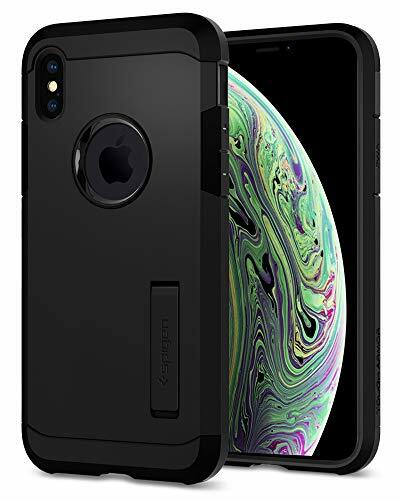 The i-Blason iPhone XS case has a slim and compact design that doesn’t sacrifice the sleek look of the iPhone XS. 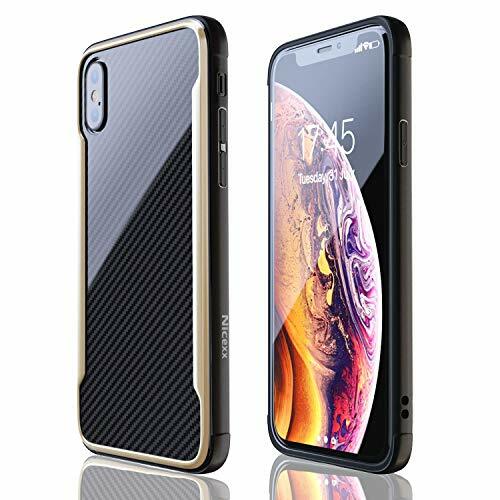 If you want to retain the look of your iPhone but still want to make sure that it is protected from everyday life, the JETech rugged cases for iPhone XS is the one for you! It is designed to fit your phone like a glove, with precise cutouts for the camera and ports, and perfectly designed well-placed buttons to keep your phone operation smooth. 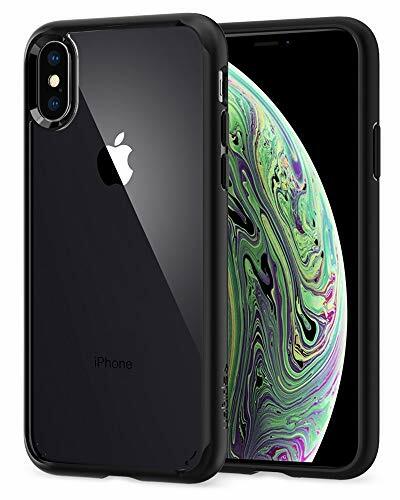 It is made out of ultra-transparent polycarbonate and thermoplastic polyurethane materials that allow the iPhone’s sleek and beautiful design to show through. Apart from showcasing the iPhone’s distinctive look, the back of this case is also scratch- and UV-resistant and anti-yellow. The sides of this case feature raised bezels that keep your phone’s back and screen from touching surfaces, adding extra protection. The shock-resistant bumper sides keep your gadget from getting scratched or cracked in case of accidental drops while retaining a slim and sleek look. Simple but effective protection comes from the OtterBox Symmetry Series Case. 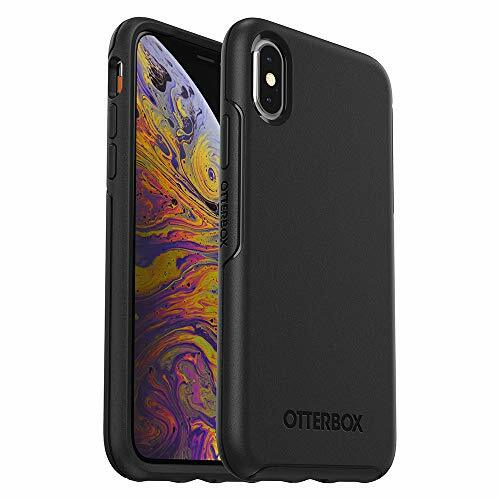 This one of the best rugged cases for iPhone XS will keep your device safe in case of accidental drops and keeps everyday wear and tear at bay. It comes in several colors (both solids and prints) — all designed to wrap around your phone and instantly transform its look while showcasing your personal style. All Symmetry Series Cases have a raised beveled edge that keeps your phone’s screen from getting damaged. Confidently place your phone on any surface or slip it into your pocket or bag without worrying about damage. Your iPhone is protected from getting cracked or broken from any accidental drops or bumps due to this case’s durable dual-material construction. The Symmetry Series is designed in one piece — lending a sleek, slim, and sophisticated look while being easy and quick to install. The well-constructed buttons ensure you can continue to use your phone with ease. One of OtterBox brand’s distinctions is that it has Certified Drop+ Protection — the OtterBox Commuter Series Case is no different! 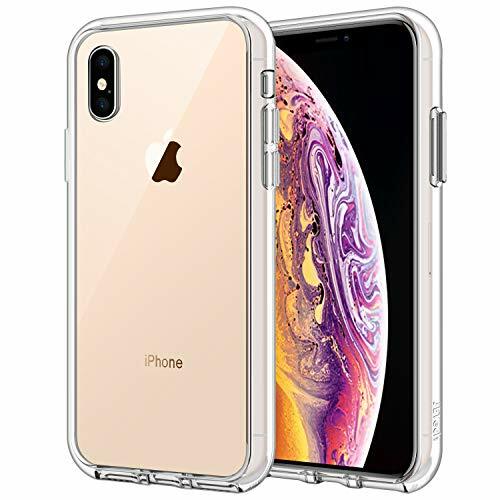 These phone cases are designed to endure rugged life and will keep your iPhone XS safe from damage and scratches in case of accidental drops. Aside from that, your phone’s ports are also protected from dust and other elements with its built-in port covers. The Commuter Series cases are all built to secure your iPhone XS while you are on the go! It is designed with two tough layers — an internal slipcover and an exterior shell — these safeguard your phone from damage wherever you may be! Aesthetically, Commuter Series cases are sleek and slim, designed to easily fit in any pocket, purse, or bag. Don’t let its lightweight and compact design fool you, though! OtterBox is very confident with the design of their phone cases that these even come with lifetime warranties! Are you looking for optimum protection for your phone by purchasing one of the best rugged cases for iPhone XS? Look no further — the Spigen Tough Armor is here. One of its most prominent features is its certified Military Grade Air Cushion Technology. This will ensure that your phone will survive drops or bumps with nary a scratch or dent. Apart from that, there are two layers of impact resistance to ensure your iPhone’s security. It also has raised edges to protect your screen and camera lens from getting scratched. Despite the Tough Armor’s durability, it only adds less than 0.15 inches to the device’s total thickness – making for a slim profile, and an ergonomic fit in your hand. If you are always on the go, prop your phone up anywhere easily with the case’s built-in kickstand. It’s also very pocket-friendly — its sleekness ensures you won’t have any unsightly bumps in your pocket. 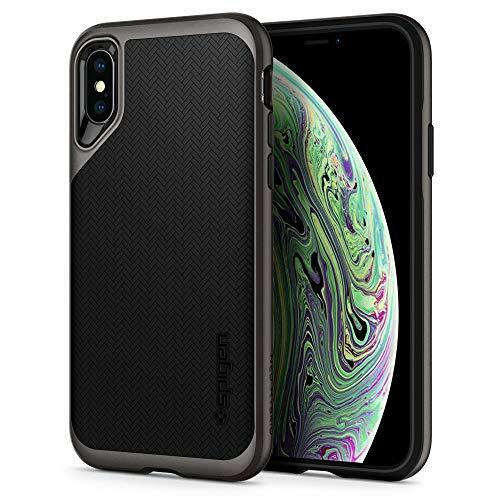 If anything, the Spigen Tough Armor Phone Case designed for iPhone XS truly lives up to its name! Flexible and slim, the Spigen Liquid Air armor is as flexible as water and as light as air. 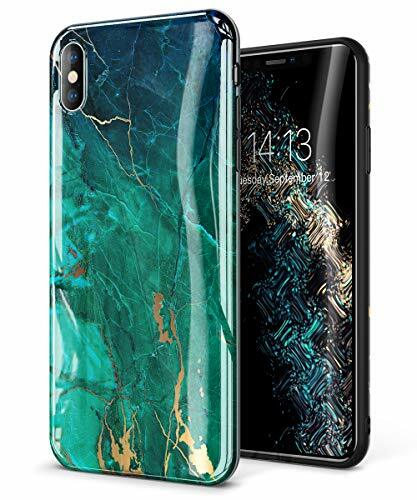 It is specially designed for your iPhone XS to keep it secure from damage as you go through your life from day to day. The Liquid Air’s flexibility keeps it snug against your device, adding less than 0.13 inches to its thickness, and keeping your phone pocket-friendly. It comes in a matte finish with modern geometric engravings on the back that helps resist fingerprint smudges while retaining a minimalist style. 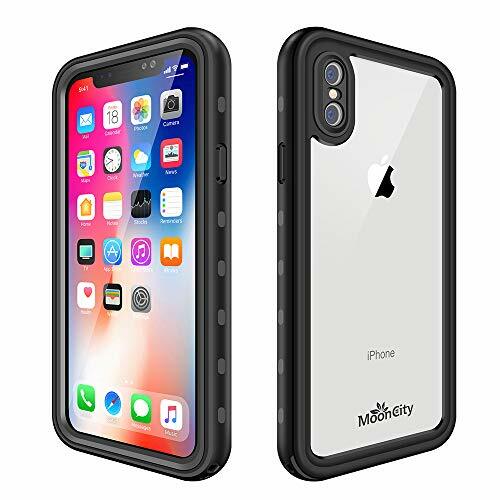 This case is made out of a shock absorbent TPU material with military grade Air Cushion technology — ensuring that your iPhone is safe in case you unintentionally drop or bump it. The tactile buttons and port cutouts are very precise, helping to retain the iPhone’s quick feedback and usability. Because of its slim profile, the Liquid Armor is also wireless charging compatible. 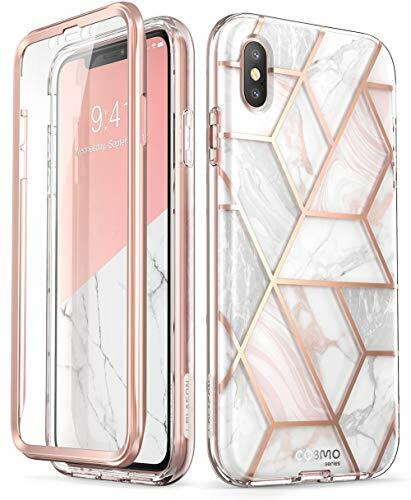 The GVIEWIN Marble iPhone XS Case is an ultra slim and form-fitting case specially designed for your iPhone XS (5.8 inches). The soft TPU material is smooth and glossy, that enhances the look of your device with the case’s marble design. Protect your phone’s original look and smoothness with this flexible case as you showcase your personal style with the wide array of colors you can choose from. The marble design on the back of this case will resist fading even if it is always in your hand. It is made out of premium materials and boasts shock-absorbing technology to make sure that your phone is protected from any scratches, cracks, or dents that normal everyday use may bring. Your iPhone retains all functions and uses even with this case on. It supports wireless charging and has precision cutouts in 1:1 scale for your device’s buttons, port, and camera lens. 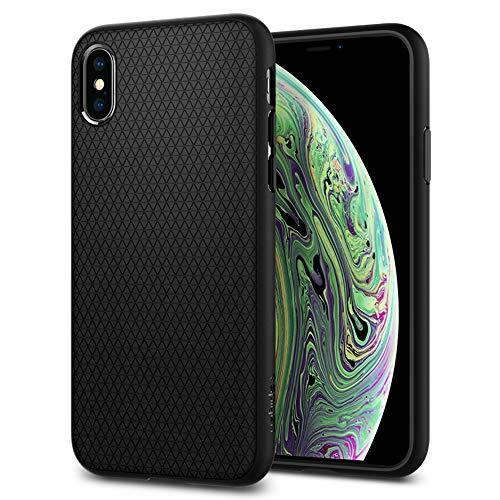 If you’re looking for rugged cases for iPhone XS from the same manufacturer, then look no further than this soft and flexible Silicone Case from Apple. It is designed to fit over your phone and all of its sides, corners, buttons, and ports perfectly. It comes with a soft microfiber lining on the inside to ensure it fits like a glove and keep your device snug. The silicone exterior has a silky soft feel that gives you a comfortable grip even if you have your phone in your hand for long periods of time. 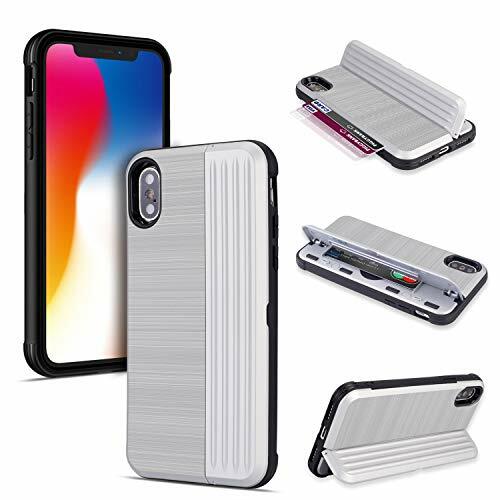 While the Apple Silicone Case may not be as thin or slim as other iPhone cases in the market, it is definitely not bulky and retains the iPhone’s normal functions such as wireless charging. It gives your phone a simple look with its solid color, but there are many options for you to choose from. If you like the look of Spigen rugged cases for iPhone XS but want increased protection for your device, give the Spigen Neo Hybrid a try. It has a hardy two-piece structure that is built with daily drop defense. Yes, you read that right, DAILY drop defense. If you’re clumsy or have an unfortunate case of the butterfingers, then you need this in your life! Despite its durability, the Neo Hybrid adds less than 0.15 inches to your phone’s total thickness, keeping the slim design of the iPhone XS intact. Aside from shock protection, this case’s two-part construction is also designed to protect your phone from scratches and nicks. It has raised lips and edges to keep your camera lens and phone screen smooth and scratch free. It has a sleek, modern look and retains all the functions of the iPhone with precision cutouts and buttons. It is also wireless charging compatible. The rugged cases for iPhone XS by Kitoo is built with your phone’s complete protection in mind. It is tested to safeguard your phone from damage through and after a 12-foot drop. Every side and corner of your iPhone is protected from bumps and damage because of the Kitoo’s durable construction and design. This phone case is tested and proven to be Military-Grade and is built out of a hard polycarbonate shell and flexible but shock absorbing TPU. All buttons remain responsive and easy to press because the cutouts and button covers are precise. It even features a built-in folding stand to help prop your phone up for watching or creating videos and similar activities. One of the disadvantages of the Kitoo iPhone XS case is its bulk. Holding a bulkier structure in the palm of your hand takes a bit of getting used to. All the little things a woman needs fit in a purse, but what if you don’t want to bring a purse around? That’s where the Itslife Women’s Big Fat RFID Leather Wallet comes in. It’s not just a wallet! It’s a clutch that’s big enough to accommodate your smartphone and more. 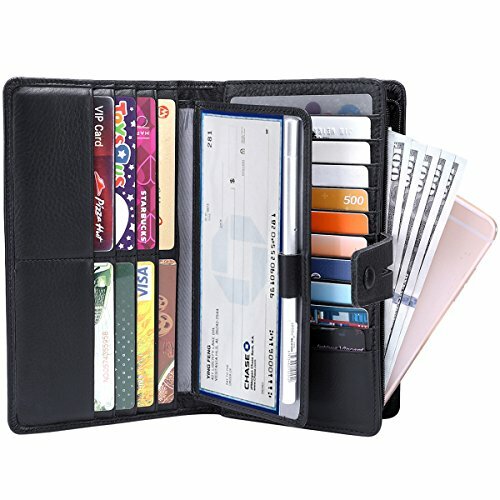 The Itslife wallet has room for 19 credit cards, 2-3 passports, your IDs, a checkbook, a pen, and your phone! Whoa! It also has RFID Blocking Technology to keep your precious data and information safe from skimming and scanning devices. The checkbook holder included with it is removable — you can choose to bring it alone if it is all you need. The soft full grain leather material is beautiful and comes in 5 colors so you can choose one that suits your style. It is crafted masterfully, with neat and even stitches that make it durable aside from beautiful. Rejazz rugged cases for iPhone XS are available for both X and XS devices. It has a dual-layer structure, and a luggage design, and its 2 in 1 TPU and PC material allows it to provide full, shockproof protection for your phone against damage due to fall. Aside from being a phone case, it also serves as a card slot holder that can hold up to two cards. There’s a card opening at the back of the case that can be flipped open when a card is to be inserted. The cards will have to be pushed through the slots to insert and will have to be retrieved through the other side of the case. The card slot can be closed back by pushing the case back and locking it to safety through the magnetic snap closure. The same magnetic snap opening can be used as a kickstand so the phone can be used handsfree. The case is 2.72 ounces in weight and 7.6 by 3.7 by 0.7 in size; it works well with wireless chargers because of its thin design. Your iPhone deserves protection. 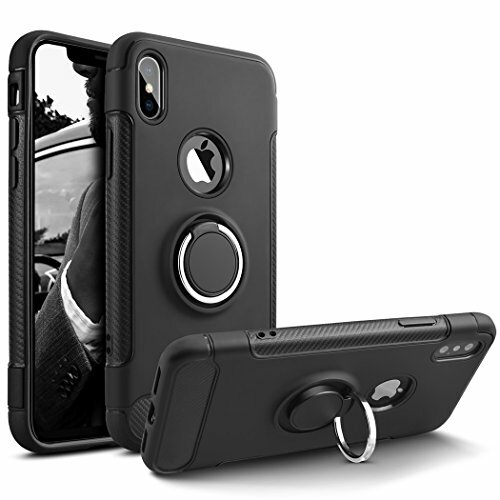 Nicexx iPhone cases are compatible with both iPhone X and XS. Each case has dimensions of 7 by 3.7 by 0.6 inches and weighs 1.6 ounces. Its structure is able to cover all corners perfectly while still giving access to exposed portions, the camera, speakers, microphone and charging port. Its buttons and controls are also raised to allow better pressing. When charging using a wireless charger, the case does not have to be removed. The case has a carbon fiber case that makes it scratch resistant. You can have more peace of mind as it is also tested to survive a 12-feet drop, which makes your iPhone more durable and protected against damage due to fall. It has a sleek and elegant design, it’s thin and light, and it is easy to put on and take off from your mobile phone. The case is available in color gold. 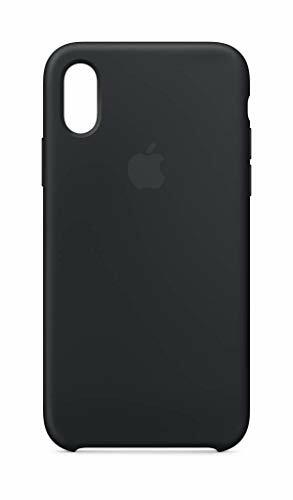 Available in color black, Besiva Phone Case is an iPhone X (2017) and iPhone XS-compatible phone case that is 6 by 3 by 0.5 in size and 0.8 ounces in weight. The device comes with a 360-degree swivel ring kickstand to allow hands-free navigation and a more secure grip. A magnetic car mount holder can also be purchased separately to be connected to the kickstand. 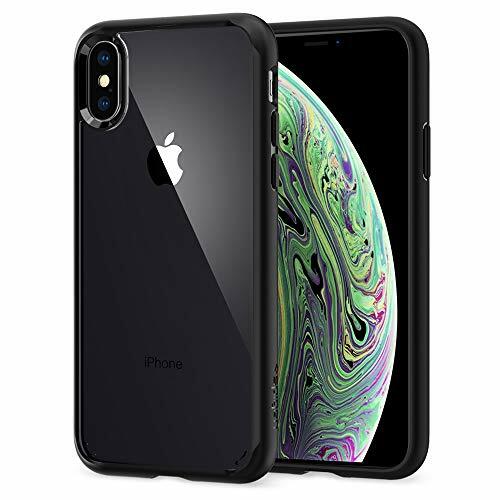 The case has 4-layer protection: 2 interlocking plastic pieces with a 2mm lift lip, a liquid silicone with microfiber lining and rough thread, and an exterior plastic cover. These layers provide more durability and ensure protection against shocks, dust, dirt, and scratches. The case should fit perfectly with the iPhone buttons, speakers, camera lenses and charging port because of its precise cut-out design. Button sections are embossed for better responsiveness to pressing. The device is backed by Besiva’s lifetime and carefree service. 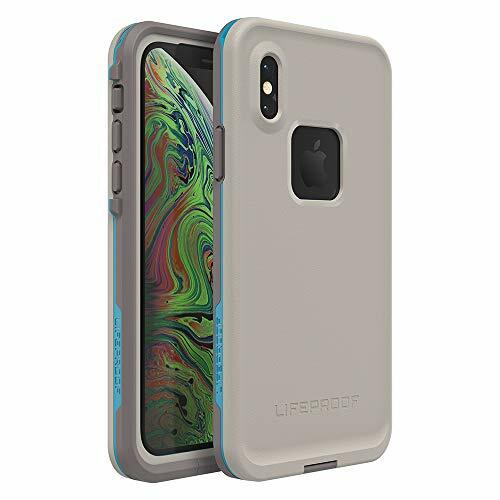 Available in colors body surf, cement, gargoyle, and Hawaiian ocean, Lifeproof Fre Series Waterproof Case is an iPhone XS cover that is lightweight at 1.44 ounces and has a size of 6.1 by 3.3 by 0.6 inches. It has a 4-proof feature: it’s waterproof and snow proof of up to 2 meters deep for up to 1 hour, drop proof/ shockproof of up to 6.6 inches or 2 meters in height, and dirtproof with an IP68 rating that can seal device from dirt and dust particles. It has a built-in scratch protector, which is invisible to the eye and to touch and gives full access for the iPhone button, control, and charging cord. The case also works with a wireless charger. It is 100% authentic, has a one-year manufacturer warranty and has phone support 7 days a week. The buyers can be guided by the manufacturer’s installation video and user manual to ensure correct installation. Mooncity’s case for iPhone XS uses an advanced IP68 waterproof technology that is thoroughly tested to surpass even you put your phone under water for 12 hours. This is a perfect protective case for divers or someone who is interested in doing outdoor sports. The case is precisely design to ensure that you can access the buttons and ports so you do not need to take it off in case you need to charge your device. Additionally, you can wirelessly charge your phone with it. It also doesn’t block the signal. The manufacturer has suggested the users to remove any screen protector before they use the protector. Should you have any concern or problem with the product, they have a customer support. It is also backed up with a 2-year warranty and a 90-day replacement – which is not offered by any of the brands mentioned in this list. Materials – When buying rugged cases for iPhone XS, make sure that you thoroughly check the materials used to ensure that it could really protect your device. TPU and PC are the most durable materials so make sure that you choose something that uses these. Design – Basically, it depends on your preference. You can go for a matte black or buy something with floral designs. Warranty – A guarantee you that you are getting your money’s worth as you can have it repaired or replaced in case it fails to provide its promises. Fit – Make sure that your chosen rugged case for your iPhone XS is precisely designed so you can access the ports and buttons when you’re using it. Size – Make sure that you can comfortably hold your phone. If you have a large hand, any from our list of rugged cases for iPhone XS will work on you. iPhone XS is not a cheap phone. Having one of these rugged cases for iPhone XS can help you feel more secured and confident that you are not wasting your money just because of one accidental drop. Additionally, take note that it is very expensive to have your phone repair. These issues can be easily solved with just a few bucks!